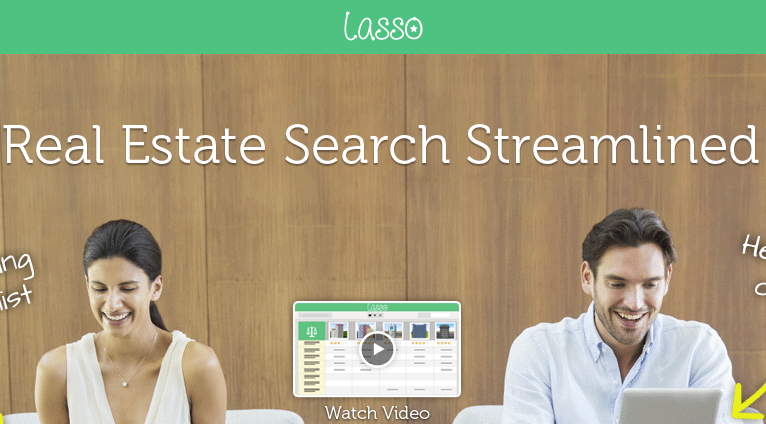 Lasso, a new collaborative home search tool from online marketing firm vFlyer, lets consumers and agents organize, share and communicate about listings they gather from a variety of locations on the Web. The tool, which includes free mobile apps for Apple and Android devices, is free for both agents and consumers and was designed to make the disparate online home search experience — which often includes searches that span Zillow, Trulia, realtor.com, Craigslist and other sites — easy for both to visualize, vFlyer CEO and President Aaron Sperling told Inman News. Instead of emailing info about listings back and forth, agents, consumers and their friends can use the cloud-based platform to collaborate in the home search process, Sperling said. In this way, Lasso resembles other collaborative home-shopping tools like Zillow’s Agentfolio and Move Inc.’s Doorsteps. Sperling said he had the idea for Lasso seven years ago when he launched vFlyer, but felt like adoption wouldn’t have been high then. But now, since agents and consumers are starting to use collaboration tools like Google Drive more and more, the time is ripe for Lasso, he said. Users pull in, or “lasso,” listings on sites from around the Web to their “corral” on Lasso in four ways: through a website browser plug-in that allows users to pull in listings from a browser extension; through a “bookmarklet” that users can place in a browser window that adds listings to Lasso when they’re searching other sites; by emailing the website address of a listing to add@lasso.net; and by pasting the listing website link within Lasso via an add-a-listing button. Once a listing is corralled within Lasso, users can rate the listing out of five stars, make comments on it and add tags. Users can share their corral of listings with friends or family, who then can see the ratings, comments, tags and listings the user has on Lasso. Lasso also automatically updates changes to listings every day by checking source sites through an automated program that notes changes in homes’ for-sale or for-rent status, their price and other info. Consumers can use the tool without an agent, but when agents invite consumers to use Lasso, their branding shows up in the upper left-hand corner of the desktop version of the app. Agents are able to manage all the consumers they invite to the tool from a dashboard view they have access to, and receive daily or weekly email notifications for their consumers’ activity on listings within the app. 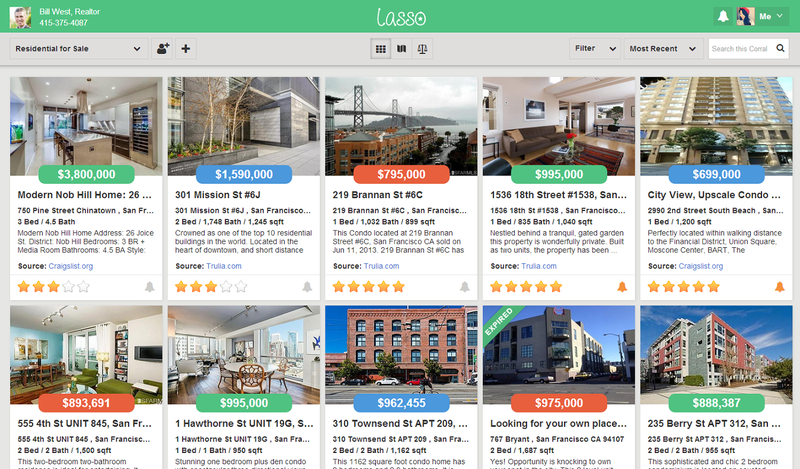 Lasso users can view their corralled listings in three ways: in a map view, in a Pinterest-like grid view and a comparison view. In the comparison view, users can organize their listings by different attributes like price, ratings, square footage and more. Right now all features of Lasso are free, Sperling said. But in the future he envisions adding premium features that agents would pay for, such as enhanced branding. The site also might generate revenue from moving-related service providers like moving companies, furniture rentals and inspection services, he said.